Automobiles are complex pieces of equipment, and they’ve become more complex with electronics. It’s the credentials that separate the good shops from the bad ones. First off, just because there’s a problem with your car after taking it to the mechanic does not mean you have a bad mechanic. Give him a second shot at fixing the problem. It’s best to find a mechanic you know and trust before you have a problem. To do this, you need to get regular maintenance on your car. That’s how you truly find a quality mechanic. This may be oil changes and tire rotations or other ongoing recommended car maintenance. Check out your mechanic with the Better Business Bureau or check consumer reviews on Angie’s List (pay site). ASE (National Institute for Automotive Service Excellence) is a common certification, but don’t rely on this when finding a mechanic. Repair shops may display the ASE sign, but the mechanic working on your car may not be certified. ASE individually tests and certifies mechanics, not repair shops. If you have a complex problem, you may ask if there is a Master Technician who can work on your car. This person earns this title when they pass a battery of tests and meet the required experience level. I really like what I’ve seen from the group of mechanics and shops I’ve worked with that are AAA Approved Auto Repair in the KC area. To give yourself ultimate peace of mind, take one more step before you bring your car to the mechanic. Do some research of the problem on your own and see what mechanics estimate the repair should cost. Repair Pal helps you break down the repairs by car type and gives you an estimate of repair costs. I'll help you save money, avoid ripoffs, and be a better parent. Join the community. Jenn Strathman is a freelance writer, award-winning journalist, and a mom. Her passion is helping others solve problems. She helps parents with everyday challenges, reviews products, saves families money, solves consumer problems, and keeps your kids safe. Jenn also helps businesses develop a content strategy, write digital content and increase social media engagement. As a TV reporter, Jenn's stories sent businessmen to jail, lead to class action lawsuits and saved consumers millions of dollars. I like the recommendation to ask about the credentials and experience of an auto repair shop. It makes sense that proper credentials could really prove that a shop does quality repairs, etc. I’ll have to keep this in mind when looking to have the car or truck fixed to ensure it’s done correctly and without any unnecessary hiccups. You said that we should find a more experienced repairman if we have a complex problem. If I was in a crash I would want to get my car fixed as soon as I could. Maybe finding a professional beforehand could be good so that you are prepared to for a crash if one happens. John – Thanks for your comment. It’s always good to know a good car repairman so he can fix your car quickly whether it breaks down or you are in a crash. Routine maintenance is important on a car. I really like your tip to verify if a mechanic is certified to work on your car. This can help you be more confident in the repair shop’s abilities and, in the end, help you feel more comfortable bringing your car back for future repairs. It’s nice to know that you have a reliable mechanic that you can go to for your needed auto repairs since they can often be required frequently. I like your tip to find an ASE certified mechanic. If an organization endorses them they are probably good. Can you check that info on the BBB? They list businesses and their rating so it’s a good place to start. Yes, I agree with you that it is unfair to blame a mechanic when your vehicle shows any bad sign after taking it to the mechanic. He is a human; how can he notice all the issues associated with your vehicle. Give him another chance. Oil changes and tire rotations are the most common preventive maintenance measures. If you will get a trusted mechanic with skill and experience, it will be a big boon for you and your car. You can find them by asking your friends and relatives or directly go to a reputable car service point, where they are commonly found. I really like that you said to find a mechanic you can trust prior to you needing them. My husband and I just moved and are wanting to do that just that, so we aren’t in a rush and settle for something less. I think the internet would be a good place to start in the process, determining which places have the best overall customer reviews. My wife and I just moved and have been looking for a local auto repair shop for the car. I had no idea that master technicians had to pass multiple tests and have years of experience to earn their title. We’ll have to shop around and ask for a master technician if we have a serious issue. Thanks for sharing! I think that being able to do a little bit of research when it comes to your auto services would be really smart! You talked about being able to check out your mechanic with the better business bureau, and different customer review sites to be sure that you’re working with someone who is going to provide good service. I’m going to have to keep that in mind and do a little bit of research to make sure that the mechanic we choose for our auto services will be someone who we can trust to do quality work! I like that you mentioned to make sure you choose a shop that only employs certified technicians. That way, you can be sure that they know what they are doing and they are educated in the repairs. I am trying to find a shop to help me get my car on the road again. I will definitely keep this in mind as I search, thanks a lot for sharing. My wife and I just moved to a new town and need somewhere to get our vehicles fixed up but we aren’t sure where to start. I like that you suggest finding a master technician because they have gone through intense training to get their title. This sounds like a great thing to look for so we know the mechanic is experienced. Thanks for sharing! Thanks for the great tips for finding a car shop. We just moved, and since I don’t know anything about cars, I want to find a shop quickly. I didn’t know that each mechanic was certified, not the shop itself. We’ll keep an eye out for that when we start looking. It is always better to find a AAA certified service center for your car. But I would recommend you to personally visit the garage,see its work atmosphere and interact with the technicians to know about their mastery on your car. You can also take the help of internet platforms like yelp, google, facebook etc. to find good rated service centers. My wife and I just moved to a new town, so we are looking for a new mechanic to start visiting. I like your point about how you can check reviews online with the BBB. We’ll be sure to check for shops that have the best ratings so we know the quality of their services. 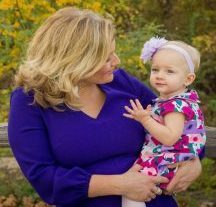 Jenn Strathman is a freelance writer, award-winning TV journalist, and a mom. She helps parents with everyday challenges, reviews products, saves families money, solves consumer problems, and keeps your kids safe. Toyota and Lexus Melting Dashboard Repairs: When Will They Be Done? 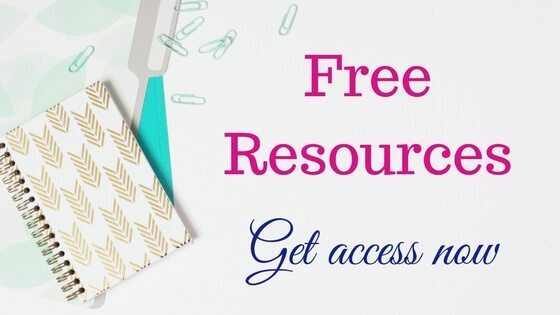 Get notified of deals, articles and freebies by joining Jenn's community.